After the death of Jesus, followers of the new Christian religious movement struggled to define both their mission and identity as a distinct faith community. As the members of this fledgling church grappled with the significance of their Jewish heritage and growing ambition to spread Christianity to Gentiles, circumcision became the divisive issue within the early church. As we will see, this controversy was the driving force in forming Christianity as a distinctly Gentile religion. This allowed Gentile Christians to escape the cultural devastation of the Jewish Diaspora and positioned the religion to become the dominant faith throughout Western Europe. But the debate over circumcision did not end there. 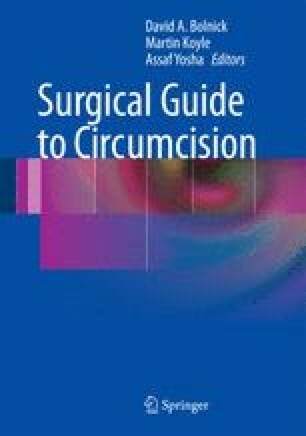 Centuries of the greatest leaders, scholars, and artists in Western history continued to ponder the practice of circumcision and its role in Christian spirituality. Scripture passages taken from: Attridge, H. Harper Collins Study Bible: New Revised Standard Edition. New York: Harper Collins Publishers; 1989. Ecumenical Council of Florence, 1438–1445. Available from: www.ewtn.com. (accessed Jul 2010). Code of Canon law. Available from: www.vatican.va. (accessed Jul 2010).